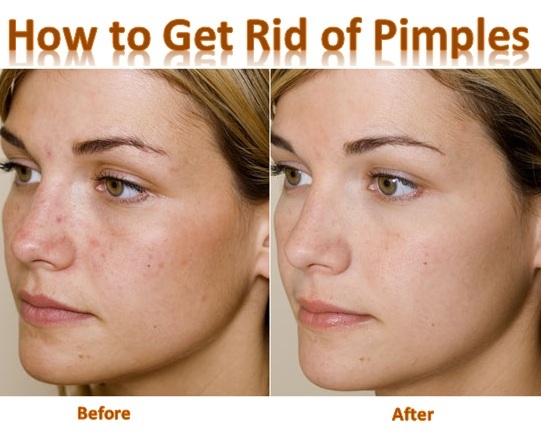 Pimples appear almost on every person’s face that destroys the skin very badly. The main cause of appearance of pimples is the inflammation of the skin in which the oil glands of the skin “sebaceous glands” become infected by the bacteria. Afterwards these glands become swallow and fill up with the pus. When the excess oil secreted by the skin, it causes pimples. Probably the face, neck, back and shoulders are affected by this problem. 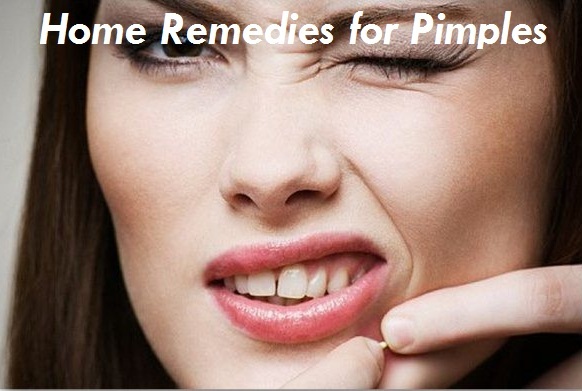 The pimples can be treated by simple methods that can be done easily at home. The available products in the markets like lotions and medicines can be hazardous and unreacted so avoid those products and try to use natural ingredients to get rid of pimples in a very short period of time. Ice can be the most appreciable thing to get rid of pimples because it gives a cooling effect. Due to icing, the blood circulation of skin becomes improved and also helps the dirt and oil to remove completely. Use ice cubes or crushed ice. Take a small piece of cloth and wrap the ice with this cloth. Now apply on the affected parts of your skin and rub gently for a few seconds. Wait a while then repeat the procedure again. Using lemon juice for removing pimples is highly recommended. Lemon contains vitamin C so it helps in drying the pimples quickly. Make sure to use fresh lemon juice. Take a clean cotton swab and dip it in fresh lemon juice. Now apply it to the pimples before going to bed. You have an option to make a paste by mixing one tbsp. of lemon juice and one tsp of cinnamon powder together. Now put the paste over the infected areas then leave it overnight. Wash your face in the morning with lukewarm water. Honey is also used as an antibiotic which helps in speeding up the healing procedure. Take a clean cotton swab and dip it in some quantity of honey. Directly put it over the affected areas and leave it for half an hour. Wash the skin gently with the help of lukewarm water in the morning. You can also mix honey with cinnamon powder to make a smooth paste. Apply it overnight and wash in the morning with cold water. It will prevent your skin from less inflammation or swelling. Toothpaste is available at everyone’s home. 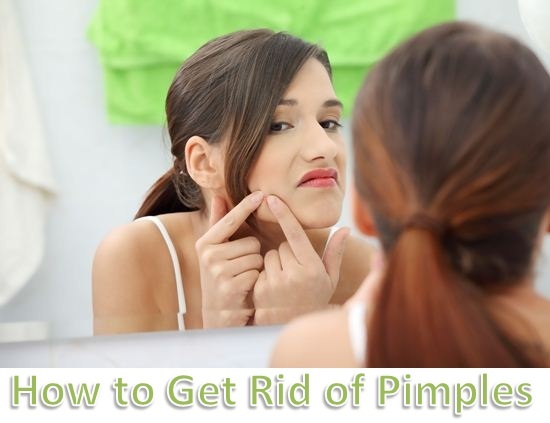 It will help your skin to get rid of pimples as soon as possible. It is most effective for reducing pimples as compare to other ingredients. For this purpose, you should only choose white toothpaste and avoid using gel toothpaste. Apply some quantity of white toothpaste over the affected skin area before going to bed. Wash out your face in the morning with cold water and see the improved swelling. You can also repeat the procedure in daytime. Steam can be wonderful for your skin at any time. Especially when you have pimples, do steaming regularly. Steam will help your skin pores to be opened and allow it to breathe easily. It will also help your skin to get rid of excess oil, dirt and bacteria that can cause infection. Take a large container and fill it with hot water. Allow your face to come closer to the steam container for a few seconds. After that, rinse your face with lukewarm water. After when your face becomes dry, apply oil-free moisturizer on your face. This treatment will also give a fine glow in your complexion. Garlic is the best ingredient for improving the pimples. Garlic has the multiple actions as it is antiviral, antioxidant, antifungal and antiseptic agent that readily helps in the fast treatment of pimples. Even eating a garlic clove daily can help in purification of blood and healing of pimples. It will also improve the upset condition of your stomach. Rub the garlic on the pimples with the gentle motion of your hands then leave it for five minutes. Wash your face with the lukewarm water. Repeat the treatment for several times a day. Baking soda is good for the sensitive skin and using it will not cause any kind of skin infection or irritation. For making a thick paste, add one tsp of baking soda in some water or lemon juice. Wash your skin well before applying this paste. Apply this paste on the affected areas of your skin for longer than few minutes. Never leave it on your skin for longer otherwise it will cause dryness. Now wash out your face with warm water then apply a moisturizer. Repeat the process twice a day for better results. Peppermint is so powerful herb which helps in eliminating the pimples very fast because it contains a cooling and soothing effect of the menthol that can help your skin to get reduced from the irritation and redness that caused by the pimples. Take some peppermint leaves and crush them to extract its juice. Apply the peppermint juice gently on your pimples then leave it for 10 minutes. If you do not find peppermint leaves, you have an option to use peppermint oil which has a number of vitamins and essential fatty acids. Take two to three drops of this oil and directly apply to your pimples. Massages with the help of fingertip for few minutes then rinse it off with water. Cucumber has a tremendous source of vitamins and potassium such as A, C and E. It also provides cooling and soothing effect on the skin. Take one and two cucumbers and cut it into pieces. The nutrients present in the cucumber such as potassium and chlorophyll will transfer to the water. Strain the water and drink it or you can use this water as washing your face. Grind one cucumber and use it as a face mask on your face. Leave it for 15 minutes then wash it with warm water. It will help your skin to cleanse the dirt and bacteria from your skin pores. Papaya is a fruits and contains many properties that help in getting rid of pimples completely. It is an antioxidant. Vitamin A is present in papaya and has enzymes that help in reducing the inflammation and make the skin smooth and supple. Papaya has an exfoliating ability that removes the dead skin cells and help in clearing the clogged pores. Take a raw papaya and crush it into pieces. Extract the juice of papaya then apply it overnight. Wash it off with cold water in the morning. Can aspirin be used for acne suggestions please? you will take 5-6 tablets of uncoated aspirin, add a few drops of water to dissolve them and mix into a paste, apply it and let sit for dry it at least 15 minutes and wash it off. Follow once or twice a week.